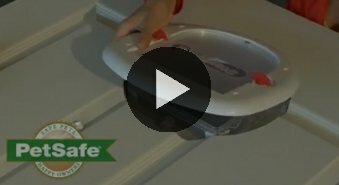 A step-by-step video guide to replacing the flap in a PetSafe classic pet door. 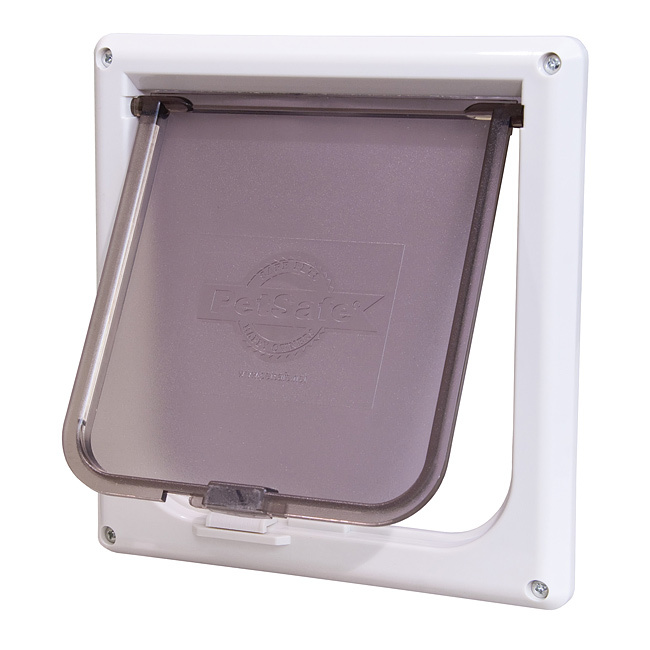 Tips, tools and some important things to know as you install your new PetSafe pet door flap. 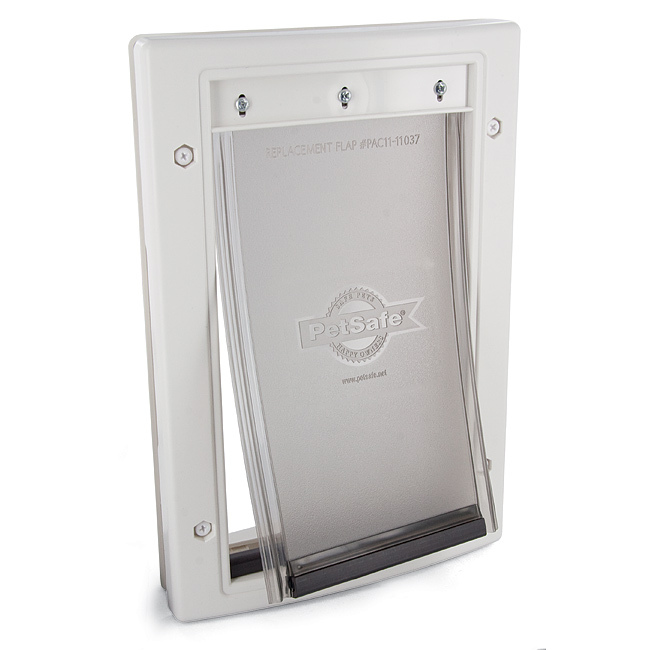 How do I install my pet door in a wall? Locate the studs in the wall. Draw a vertical line between two studs 10-12 inches above the floor. 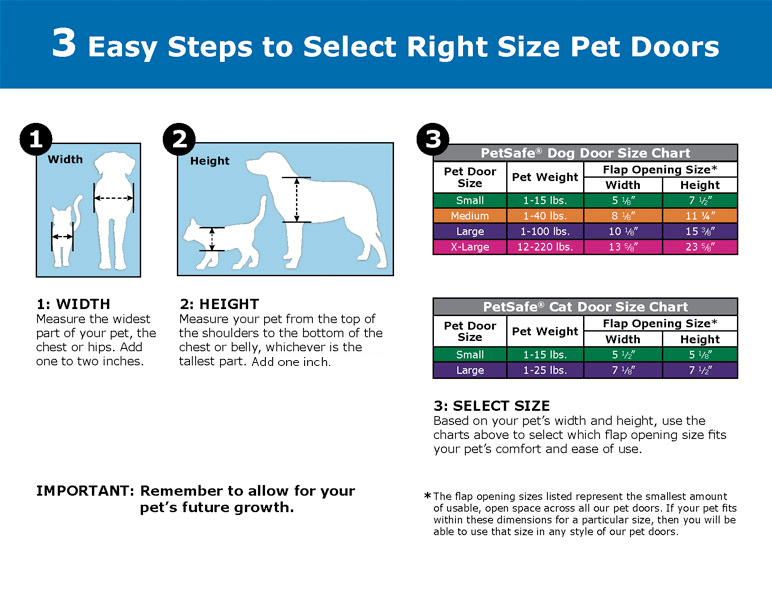 Measure and mark your pet's shoulder height on the certical line. Draw a straight horizontal line through your mark. Cut out the correct template size. Match the shoulder and center lines you marked to the ones on the template. Tape the template to the wall and trace the outline. Remove the template. Check the fit by placing the frame with the flap inside the cutout. If it doesn't fit, trim the opening until it fits. Put the center locator into the cutout. Put the A side of the door into the wall and use drywall screws to hold it in place temporarily. Lift the flap and push in the center locator until it touches the outside wall. Mark the holes on the center locator. Remove the door from the inside wall. Drill holes into the marked holes. Drill holes for the toggle bolts in the holes the drywall screws were. Place the interior and exterior frames together with the flap. Install the bolts on the inside and outside without overtightening. Begin training your pet. Tape the flap open and coax your pet through the door until he becomes comfortable with using the pet door.